Today for lunch I made a straight up 5 star italian tomato soup. Sounds pretty basic, but there was a flavor explosion going on in my mouth! My kids loved it and slurped up the very last drop. Also the mouth watering tomato herb aroma flowing through the house wasn’t too bad either! 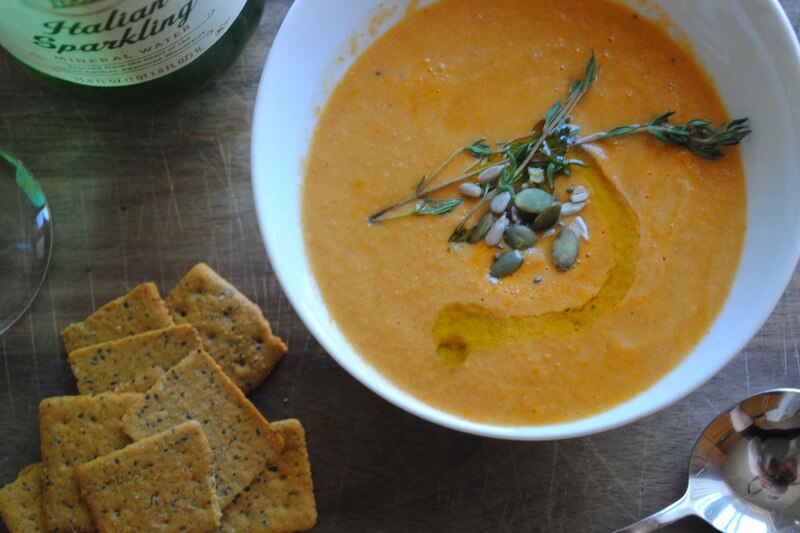 This particular tomato soup is so easy and takes about an hour to make from scratch! 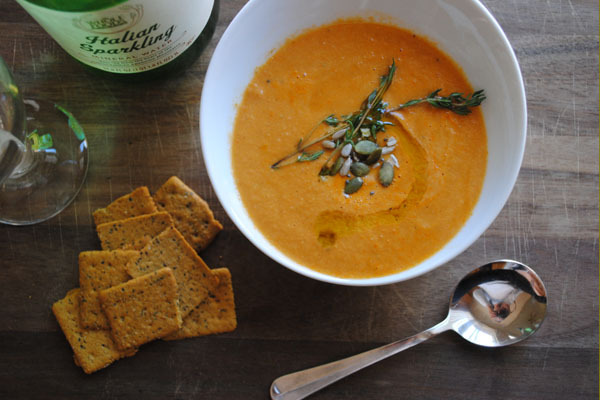 Not to mention it’s vegan as well:) Vegan tomato soup… yes please!!! Line a baking sheet with aluminum foil. Slice your tomatoes. For larger tomatoes slice into quarters and for smaller slice into halves, if cherry tomatoes leave as is. Place your sliced tomatoes on baking sheet. Cozy up the garlic and shallots to the sliced tomatoes on the baking sheet. Sprinkle thyme leaves over the tomatoes, garlic, and shallots. Then drizzle the 1-2 tbsps olive oil over the tomatoes, garlic, and shallots. Add salt and pepper to season the tomatoes. Then place baking sheet in oven for about 30-35 minutes. 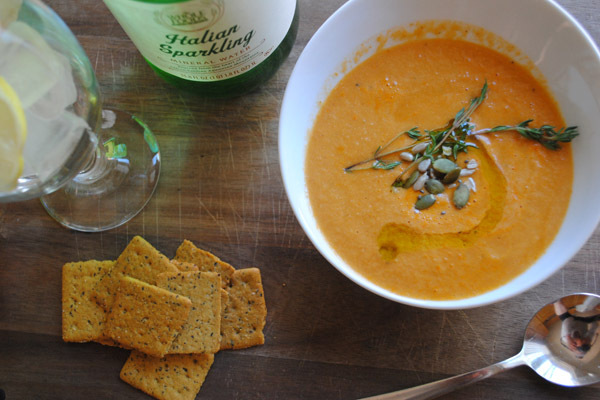 While tomatoes are in the oven blend cashews, tomato paste, basil, vegetable stock together. Set aside. Once all blended and smooth go ahead and add the soup to a pot and bring to a simmer. Add in the balsamic vinegar and salt and pepper to taste!